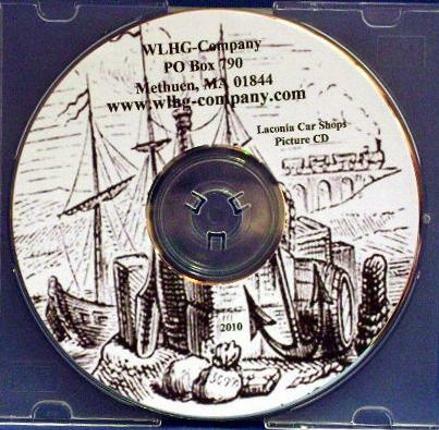 This offer consists of a picture CD made from photos that were in a Laconia Car Company Salesman's Picture Album. It contains 110 freight car and Maintenance of Way (MOW) equipment pictures, three of which are displayed as a sample. Not a one can be retaken! The pictures date from around the early 1900's. Some of the original photographs are not of the best quality, but remember that photography was still in its infancy and was expensive back in those days. No shots were wasted! The pictures show great detail when they display on your computer (It will run as a slide show if you wish). This is a great aid to the modeler of freight cars and old MOW cars. Many New England railroads are represented; Boston & Maine, Maine Central, Grafton & Upton, Bangor & Aroostook, Rutland and more. Some of the non-railroad companies represented are: Navy Yard, Portsmouth, NH; Naval Proving Grounds; Boutwell, Milne & Varnum Co.; N.C. Munson and more. Local historians will find the backgrounds of interest. Non-USA orders: Please send $14.00 in US funds which includes 1st-Class International Postage. Please use the dollar amount drop down menu to pay the proper price. The Laconia Car Company was established in 1881 at Laconia, New Hampshire. The Laconia Car Company plant occupied 7 acres in the heart of the city of Laconia. These acres were crowded with all types of buildings, most impressive of which was a four story brick foundry building where parts were forged for other car builders as well as for its own use. Laconia built passenger and freight equipment for railways, horse streetcars and electric streetcars, and interurbans. Though the bulk of its production went to New England, Laconia cars could be found almost everyplace. By 1893, Laconia was producing 125 passenger cars a year. By the turn of the century, Laconia was heavily into the construction of electric streetcars and interurbans. Its products were in wide use, rolling on such systems as the Delaware County and Philadelphia Electric Railway, the Los Angeles Railway, the Augusta-Aiken Railway Co. of South Carolina and the Boston Elevated. It appeared the demand for such cars would never end, and this department alone had close to 500 employees. In 1908, Laconia was equipped with new machinery that made possible the construction of steel frame cars. But the demand for trolley cars and interurbans declined steadily as the auto industry grew, and after 1914 Laconia steadily lost money. Its production turned largely to �head-end� cars, that is, baggage, mail and express cars. Two factors seem to have contributed to the demise of the Laconia Car Works: their heavy dependence on the declining electric car market, and the increasing trend of railroads to take over building of their own cars. After one last order for ten double-truck cars for the Boston Elevated, Laconia closed its doors in 1928.